Home / SkinCare / Dr Botanicals - Moroccan Rose Light Summer Cream. 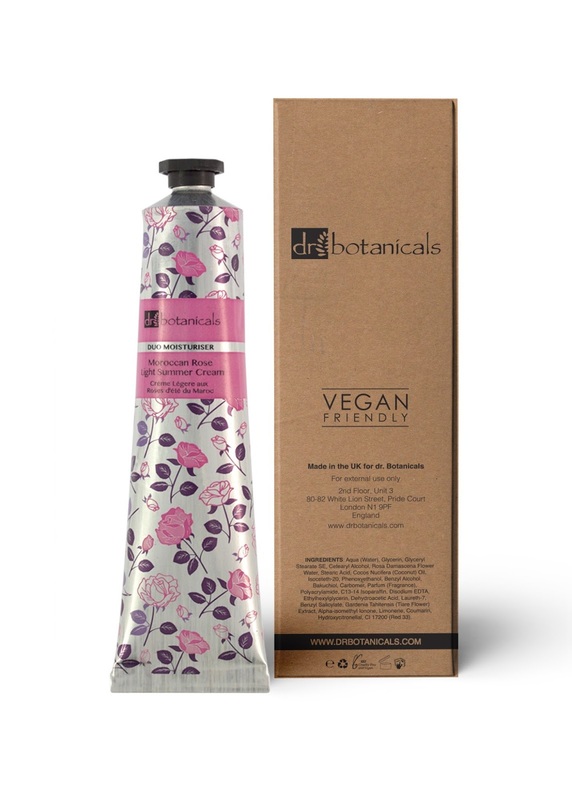 Dr Botanicals - Moroccan Rose Light Summer Cream. The Dr Botanicals Moroccan Rose Light Summer Cream is a lightweight cream formulated with rose to protect and repair the skin. Dr Botanicals believe oils and plant extracts can make a genuine difference to skin. Never tested on animals, this range embodies their belief in the potent power of botanicals. The main active ingredients in the Moroccan Rose Light Summer Cream formulation are: Rose Flower Water: Works to calm and soothe the skin, reducing any redness for a more even complexion. Coconut Oil: Works to hydrate and balance dry and irritated skin. Tiare Flower Extract: Aims to deeply moisturise, nourish and purify the skin. 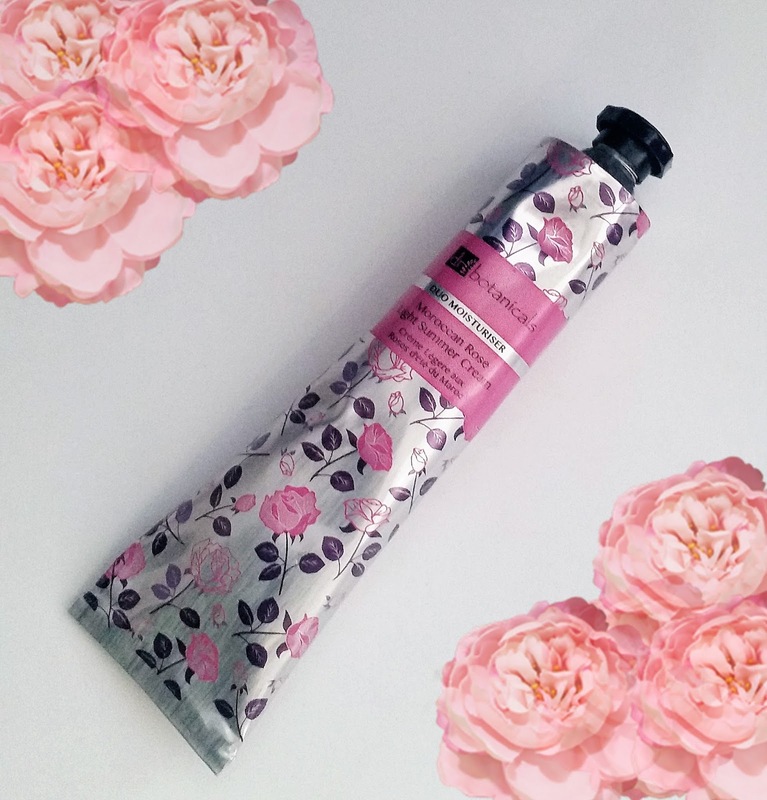 Situated in a beautifully decorated 50ml tube with a twist off cap, the Moroccan Rose Light Summer Cream is dispensed by squeezing the tube a little. You will instantly notice the stunning fragrance that enlightens your senses from the heady sweet but floral aroma, thanks to the ingredient Hydroxycitronellal which is a perfume ingredient with a medium strength floral scent, reminiscent of lily and sweet tropical melon . If your skin does not tolerate fragrance in products then this cream will not be suitable for you, as u can read from the ingredients. Aqua (water), Glycerin, Glyceryl Stearate SE. Cetearyl Alcohol, Rosa Damascena Flower Water, Stearic Acid, Cocus Nucifera (Coconut Oil), lsoceteth-20, Phenoxyethanol, Benzyl Alcohol, Bakuchiol, Carbomer, Parfum (Fragrance), Polyacrylamide, C13- 14 Isoparaffin, Disodium EDTA, Ethylhexylglycerin, Dehydroacetic Acid, Laureth-7, Benzyl Salicylate, Gardenia Tahitensis (Tiare Flower) Extract, Alpha-isomethyl lonone, Limonene, Coumarin, Hydroxycitronellal, CI 17200 (Red 33). Smoothing Dr Botanicals Product over face and neck daily after cleansing, this light vegan friendly cream does instantly absorb into the skin leaving a smooth and hydrated base. Applying serums and gels before the application of the Moroccan Rose Light Summer Cream works extremely well if you follow a layering skincare regime. I did experience a slight residue felt on the skin and this is because of the emollient ingredient Glycerin, as well as the ingredient C13- 14 Isoparaffin, which is a mixture of mineral oils derived from petroleum. We all know the debate about mineral oils, but if your skin can tolerate such products then its down to the users preference. The cream also contains Bakuchiol, a natural alternative to Retinol, is a meroterpene phenol derived from Indian Psoralea corylifolia (Babchi) leaves and seeds. Limited research has shown that this ingredient seems to have restorative activity. The ingredient Cocos Nucifera oil is good for ultimate soft and moist skin care. Cocos Nuciferaoil is also known to help individuals with skin conditions like eczema and psoriasis and maintaining acne breakout in control. The Rosa Damascena Flower Water is an aqueous solution of the steam distillate obtained from the flowers of Rosa damascena which offers skin benefits such as skin conditioning and skin protecting. Using the Moroccan Rose Light Summer Cream would benefit those who are wanting a light cream without feeling heavy or greasy on the skin, but only if your skin can tolerate fragrance skincare products. 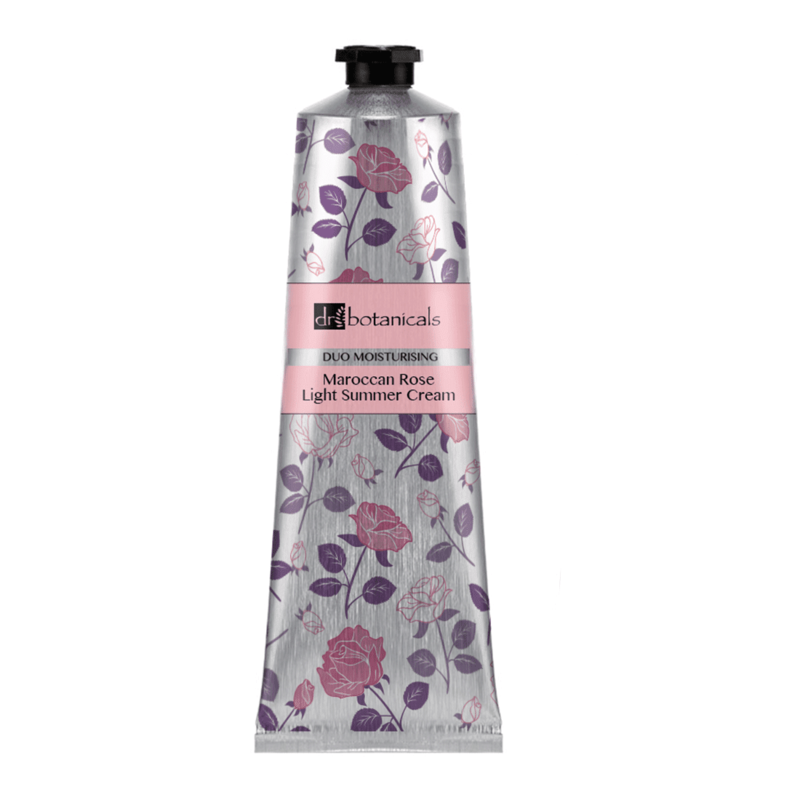 Visit Dr Botanicals Moroccan Rose Light Summer Cream to find out more. X Neil.